We happily accept all donations of books, DVDs, and CD audio books with the exception of encyclopedias. A donation bin is located at the entrance to Town Books in the hallway of the 411 San Anselmo Ave entrance. Donations are only accepted during bookstore hours. Please do not leave donations when we are closed. After hours, a donation box is available at the Library in the elevator lobby on the ground floor. Donations are tax deductible. If you would like a receipt for your donation please request one from the volunteer at the counter. 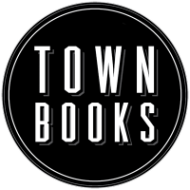 Town Books is run by the Friends of the San Anselmo Library and all profits are donated to the San Anselmo Library.